Lisa & Favore started out with a bang and won their Prix St. Georges class at Fidlers Run with 71.316%! Champion Training Level - Deb and Chappy. Champion Second Level - Meg and Wenda. Reserve Champion First Level - Ferne & Awesome. Deb and Chappy also won AA High Score at Bucks County Horse Park. Karin and Favore placed eight at the USDF Regional Championships Third Level AA and had their Prix St. Georges debut at Dressage at Stone Tavern earning FEI Reserve Champion. 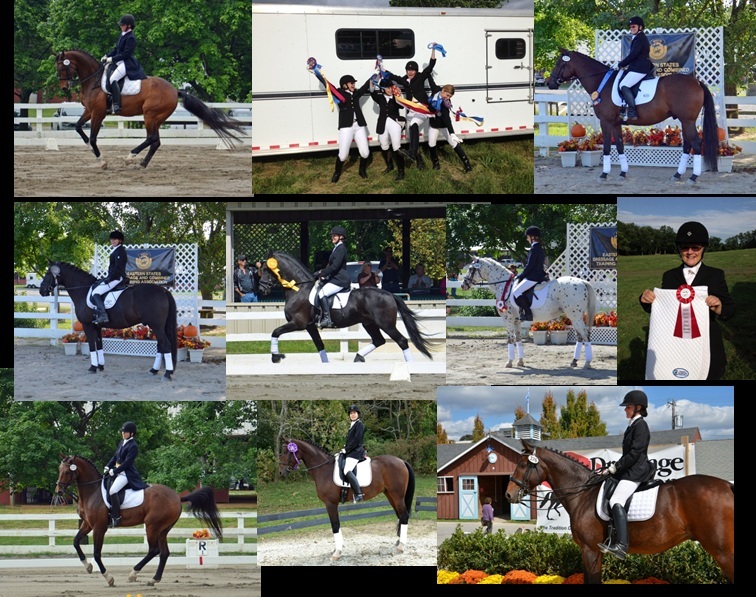 Concluding the season was a return to Dressage at Devon, Lisa and Favore qualified!